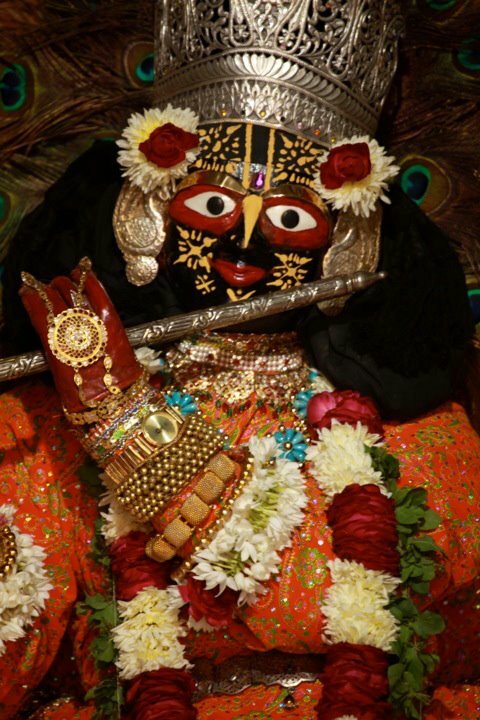 Srila Sanatana Goswami is the acharya of sambandha, the process of understanding our relationship with Lord Krishna. The deity for Sambandha is Madan Mohan. In a seminar on bhakti culture HG Srimati Mataji shared three most beautiful verses to describe our relationship with Lord at above three stages, they are most practical for an aspiring devotee. We can recite these verses daily, also before our japa and even during the middle of our japa when the attentiveness seems to slip away. I am trying, and struggling, to follow the same but still reaping some benefits inspite of all my handicaps. I humbly seek forgiveness for any mistakes in compiling on this topic. This entry was posted in Krishna, My spiritual Journey, Prayers and tagged Abhidheya and Prayojana., Bhakti Yoga, diksha guru, Govind devji, Krishna bhakti, love of Godhead, Prayojana, prema bhakti, Radha Gopinath, Radha madanmohan, Sambandha, shiksha guru. Bookmark the permalink. One correction. Srila Raghunatha Dasa Goswami is NOT the acharya for the prayojana and Gopinatha deity. The acharya for this is Madhu Pandita Goswami. divinestate , your information is a bit mixed up.. Madhu Pandit was indeed the worshipper of Radha Gopinatha deity which is the Prayojan deity, but acharyas in our sampradaya are in agreement that Raghunnatha Das was the Prayojana acharya. wonderful content i really like this blog. how beautifully u express it and the name which u are write in this blog frankly i am also don’t know. But i guess all are the Shri Krishna Avatar.